One of the most famous tourist attractions in the Garden City is the Lalbagh Botanical Gardens. Nature lovers can enjoy views of uncommon birds as well as special plant collections. But the park is not just known for the flora and fauna but also its rich history. The gardens also have an infamous glass house which was built in 1889. It is in this glass house that the flower shows are held every Republic and Independence Day. With the flower show ongoing, here we are with eight reasons why you should not miss this Magical Lalbagh Flower Show. Watching the colorful flowers has a calming effect on the human psyche. It is a good stress buster – something which we can never have enough of. The beautiful floral arrangements and the vibes put one’s mind at ease. A visit to the place during the weekend would rid your mind of all the stress and worries. The beauty of the flower show cannot be described easily in words. There are flowers and plants of almost every color imaginable and the variety can blow your mind away. The plants and flowers you see here are so diverse, different and beautiful that it makes one believe that there is a paradise on our very own Garden City here. The 209th Flower Show is going to make history at this time, participants from many different states of the country are also expected to make their presence felt with their plants and flowers. The Glass House itself has a rich history and a fascinating backstory. It was modeled after the Crystal Palace of London which then caught fire sometime in 1936. The Glass House shines today like its namesake probably did and hosts the infamous flower shows. Every year, the floral arrangements have a certain theme or stand out for having achieved a particular effect. The theme for the 209th Flower Show has been chosen as the 150th Birth Anniversary of Mahatma Gandhi. This year, the replication of the Mahatma Gandhi’s Sabarmati Ashram that has astounded and amazed the visitors. Made of a multitude of flowers, the visual treat evokes feelings of awe and patriotism. One doesn’t really need a flower show to visit the park which has over a thousand different varieties of flora and trees which are older than a century. There are species of plants here that have been bought from countries such as Persia and France – truly a delightful treat for a nature lover. It’s difficult to see any greenery in the city nowadays. The Lalbagh is one of the few breathing spaces the city has left. Any event taking place here is hard to miss. The place has some of the best marvels including a Peninsular Gneiss. The flower show that happens here twice a year is a matter of pride for every Bengalurean. The flower shows are conducted with the intent to promote and encourage conservation of plants and the environment. The public is also educated on the various flora and cultivation of the same. The flower shows are joyous to watch for both the young and old alike. Be sure to take advantage of the fixed rate of Metro fare from the Lalbagh Metro Station to all other stations during the Republic day weekend. The fare has been set to thirty rupees to promote the flower show. Entry tickets costing seventy rupees can be purchased at the park or online while the ticket for children on weekends costs just twenty rupees. Remember to keep the place clean and most importantly, have fun! 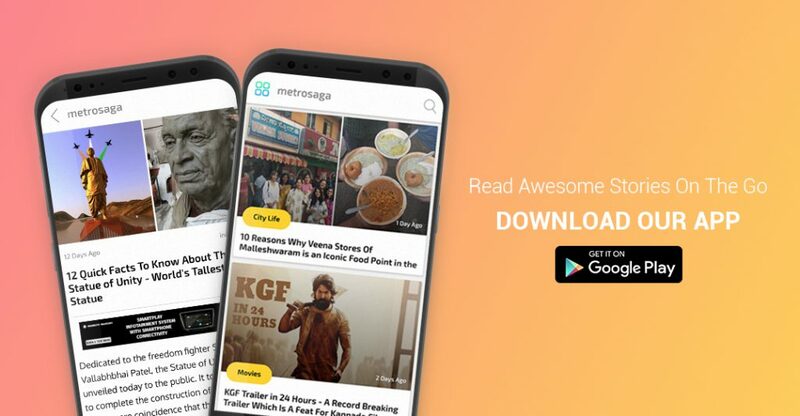 You can also Subscribe to MetroSaga for newsletters.